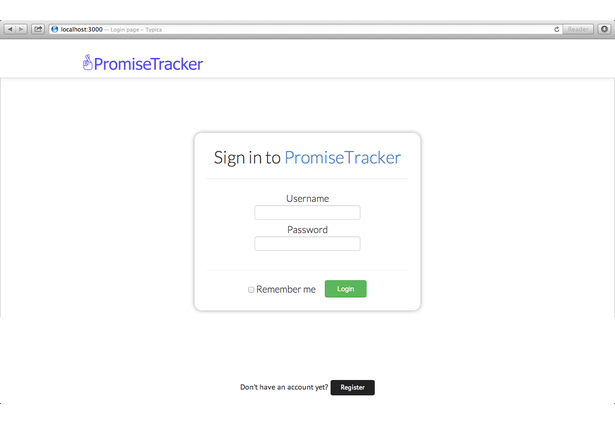 We provide an easy-to-understand platform for citizens to track how their elected officials are performing on their campaign promises. 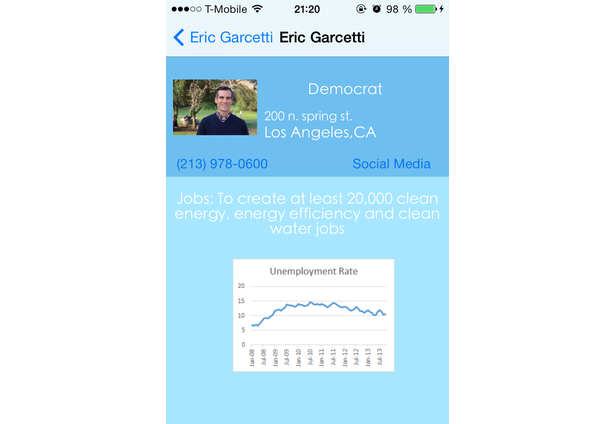 We focus on job numbers and unemployment rates, which are the most common type of campaign promise. 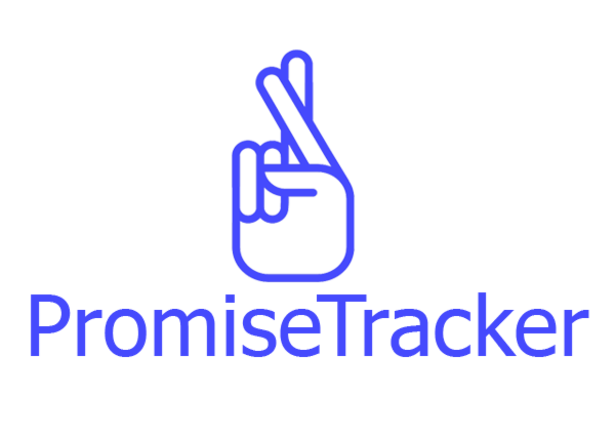 Don’t get jaded—get informed, with Promise Tracker--a platform, available on web or mobile, that tracks the performance that our reps make on their campaign promises. This makes them accountable for their performance come re-election time. 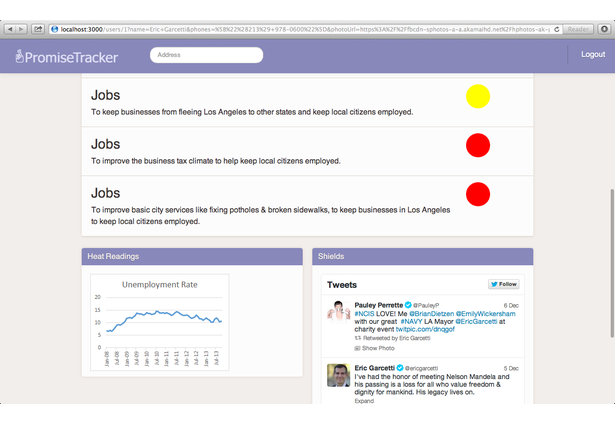 While PromiseTracker could can track almost any campaign promise, we chose to focus on jobs only. 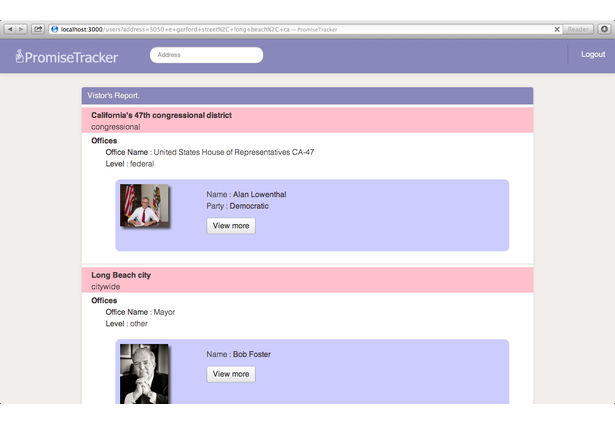 So this pulls up a list of all elected officials at every level, from President Obama at the federal level all the way down to the sub-local level. 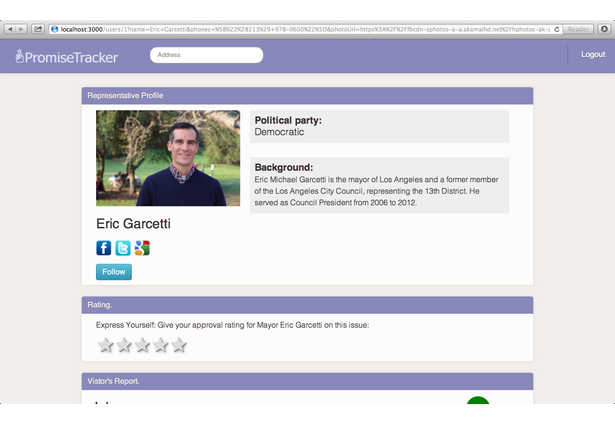 I remember Mayor Garcetti stressed jobs were his number one priority when he campaigned, so I’m going to check him out. Let’s look at Supervisor Mark Ridley-Thomas, who was re-elected in 2012 and has more data. He promised to increase job growth and look at all the progress he’s made. So how do turn this into a business? 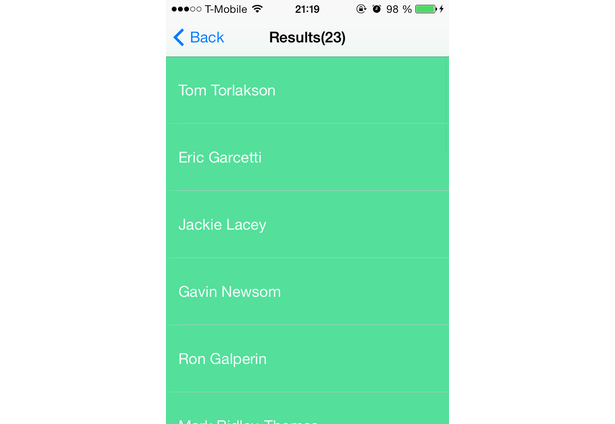 We have a survey feature that allows users to give their approval rating for each representative on each issue. 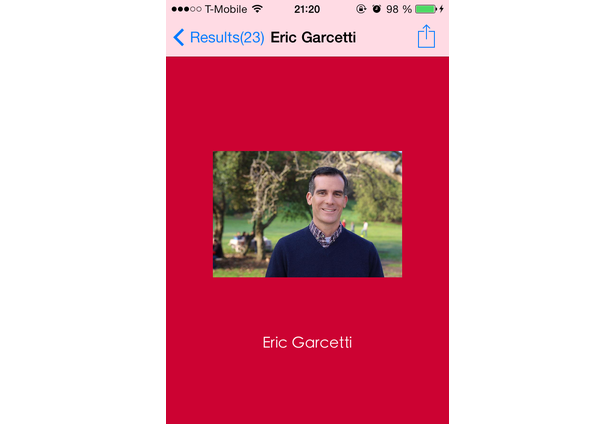 While our users are everyday citizens, our clients will be non-profits, survey companies, journalists, and researchers who can purchase approval rating data from us. Normally, surveying companies have to spend a lot of money interviewing thousands of people on the phone. 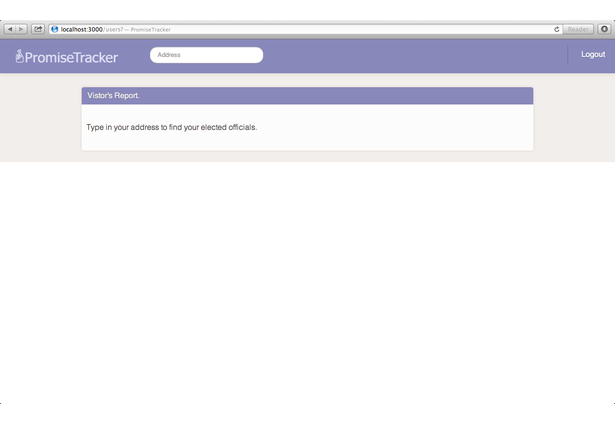 We’ve made it easier and simpler to collect that data. 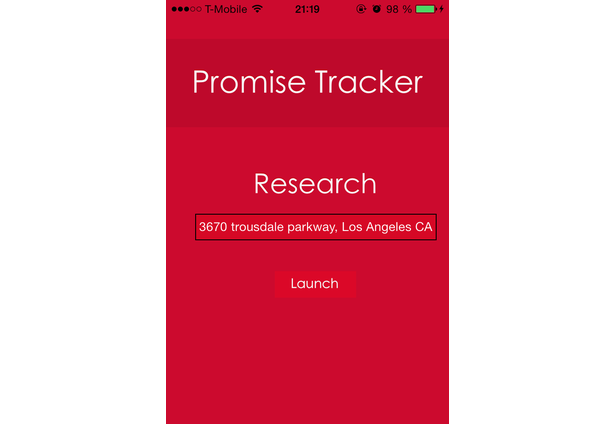 My colleague will demo the mobile app while I explain how we created PromiseTracker. 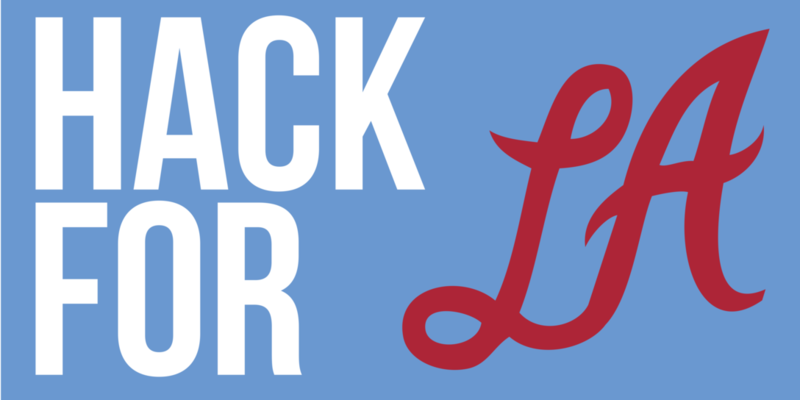 Our great hope is that this objective information will keep our elected official accountable for the promises they make, and increase civic engagement in our communities at all levels. Comments for this submission are closed. 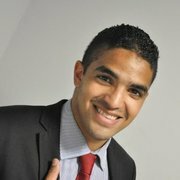 View the software in amyywan's portfolio to continue the conversation.